Albert Wang (Cornell University) "An Angle Sensitive CMOS imager for single-sensor 3D photography"
Robert Johansson (Aptina) "A 1/13-inch 30fps VGA SoC CMOS image sensor with shared reset and transfer gate pixel control"
Sangjoo Lee (Samsung) "A 1/2.33-inch 14.6M 1.4 um pixel backside illuminated CMOS imager sensor with floating diffusion boosting"
Dan Pates (Aptina) "An APS-C format 14b digital CMOS image sensor with a dynamic response pixel"
The upper 9 bit counters, which are based on real counters as before. This hybrid construction allows to maintain the high accuracy of 14 bits with the extremely high speed of 34.8 Gb/s overall. The device runs at 120 fps at 12 bits and 60 fps at 14 bits. The chip is realized in 90 nm technology, 1P4M and consumes a total power of 3W at 120 fps." Business Wire: ON Semi has completed its acquisition of the CMOS Image Sensor Business Unit (ISBU) from Cypress in an all cash transaction for approximately $31.4M, subject to adjustment under the purchase agreement. The purchase price was approximately 1x annual sales for the division. ISBU is expected to become an integrated part of ON Semiconductor’s Digital, Military/Aerospace and Image Sensor (DMI) division under the direction of Vince Hopkin, vice president of DMI. With this acquisition, ON Semiconductor acquires approximately 100 patents and patent applications related exclusively to the business and receives appropriate intellectual property licenses from Cypress Semiconductor in order to continue to conduct and grow the business. As part of the transaction, approximately 70 Cypress Semiconductor ISBU employees join the ON Semiconductor organization. The majority of these employees are located in Mechelen, Belgium. Business Wire: Toshiba and Sony announced that they have executed definitive agreements based on the non-binding memorandum of understanding signed on December 24, 2010 between Toshiba and Sony for the transfer from Toshiba to Sony of semiconductor fabrication equipment located at Nagasaki Technology Center operated by Nagasaki Semiconductor Manufacturing Corporation ("NSM"), a joint venture of Toshiba (owned 60%) and Sony (owned 40%). The purchase price for this equipment is 53 billion yen. The closing for this transfer is planned for April 1, 2011. Following the execution of the transfer, Toshiba and Sony plan to terminate their NSM joint venture relationship. Sony's goal is to expand its CMOS image sensor business by utilizing the equipment to be transferred to Sony that is located at Nagasaki Technology Center. The purchase price of 53 billion yen is included in the approximately 100 billion yen CMOS image sensor investment announced by Sony on December 27, 2010. 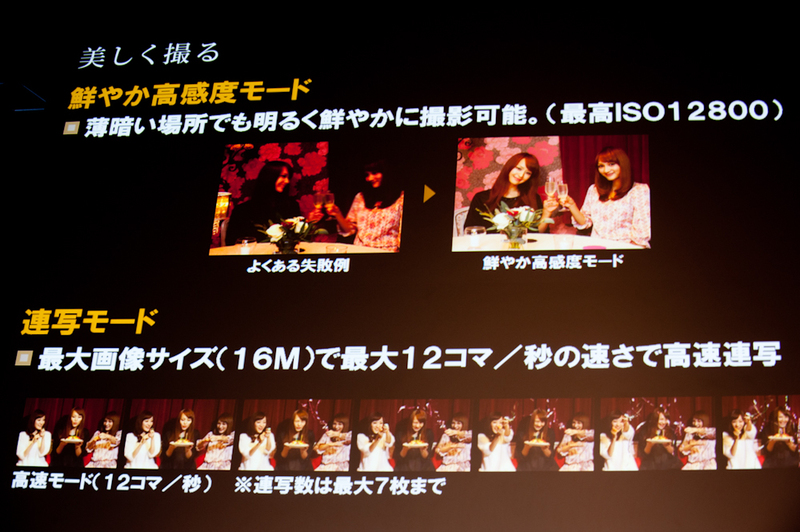 Nikkei adds that Sony controls about 70% of the market for image sensors for digital cameras. Sony aims to double its image sensor production capacity to 50,000 wafers a month by March 2012, from 25,000 currently. Electronista and Crunchgear quote subscription-only Nikkei article saying that Sony has developed a new 17.7MP sensor that can "convert multiple pixels into signals simultaneously", which results in a reduction of the conversion time by up to 75% when compared to existing sensors. The new sensor boasts a processing speed of 34.8Gbps (that’s up to five times faster than previous Sony sensors) and shoots video with 17.7MP at 120fps. Apparently, Sony also managed to keep power consumption in check by revamping the circuit design in the sensor. The Nikkei also says that Sony plans to use the new technology in digital cameras and cell phones in the future, without providing information on when exactly this will be the case. Prof. Etoh of Kinki University "A 16Mfps 165 kpixel Backside-Illuminated CCD"
Y. Yamashita (Canon) "A 300mm Wafer Size CMOS Image Sensor with In-Pixel Voltage Gain Amplifier and Column-Level Differential Read-out Circuitry"
R. Walker, J. Richardson (University of Edinburgh) "A 128 x 96 Pixel Event-Driven Phase-Domain Delta-Sigma-Based Fully Digital 3D Camera in 0.13 mm CMOS Imaging Technology"
Its 10/12b output is delivered via 10-channel Sub-LVDS 576 Mbps serial output. The sensitivity is specified as 1437 digits (typ) at F5.6 lens, 1/30s exposure, green signal. The saturation is stated as 3089 digits (min) and, in terms of numbers of electrons converted per unit area, is said to be an increase of about 10% over current Sony products. 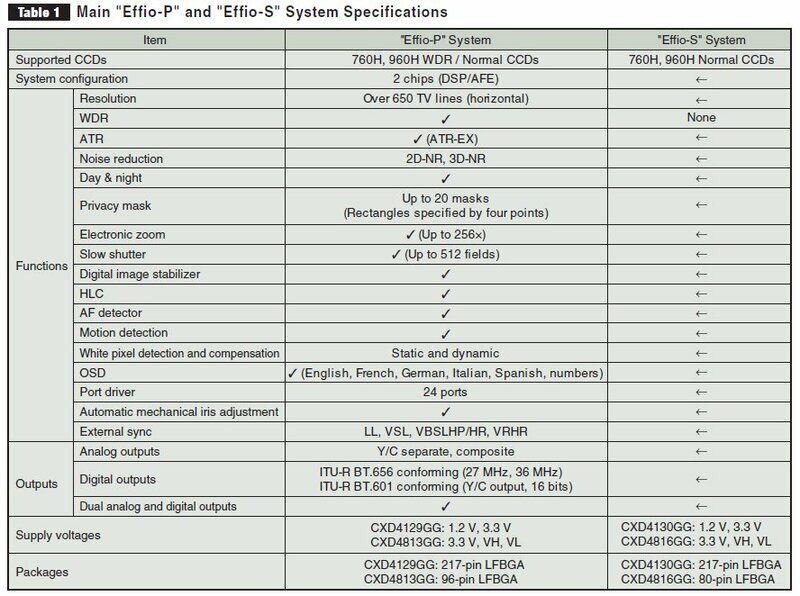 Another Sony announcement is the two new ISPs from its "Fffio" series aimed at CCD-based security cameras and supporting 650 lines of horisontal resolution, WDR and ATR-EX (adaptive tone reproduction). PR Newswire: Omnivision reported financial results for the fiscal third quarter ended January 31, 2011. Revenues for the quarter were $265.7M, as compared to $239.5M in the previous quarter, and $156.9M in the same quarter a year ago. GAAP net income in the last quarter was $44.7M, as compared to $28.9M the previous quarter, and net income of $5.0M a year ago. The company ended the period with cash, cash equivalents and short-term investments totaling $498.9M, an increase of $102.2M from the previous quarter. "For the second consecutive quarter we achieved record revenues, which exceeded the high point of our guidance," stated Shaw Hong, CEO of Omnivision. Gross margin was 29.8%, as compared to 28.2% a quarter ago and 24.6% a year ago. The sequential increase gross margin is attributed to the sale of previously written-down inventory combined with a reduction in inventory valuation allowances. The next quarter revenues are expected be in the range of $240M to $260M. Forbes: Omnivision's posted revenue of $265.7M is well ahead of the Street expectations at $241.7M. For the April quarter, OmniVision sees revenue of $240M to $260M, ahead of the Street at $217.2M. 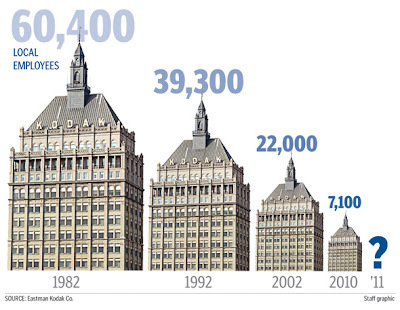 Update: EETimes: Doug Freedman, an analyst from Gleacher & Co., said: "Yield Issues? Not really... We are hard-pressed not to believe OVTI share is approaching the mid-30 percent market share level given another record quarter for units... Sony and Samsung emergence would not present a material risk to margins, as capacity is clearly being stretched to accommodate a sensor market that could reach 2.5 billion units in CY11 (we see OVTI units +23 percent year-over-year to 787 million in CY11)." Hans Mosesmann, an analyst with Raymond James & Associates Inc., said: "Design win activity with 'tier 1' OEMs is strong for next generation BSI-2 with a volume ramp later this summer a dynamic that puts to rest the fears of having lost the Apple business and the concerns over 'yields.'" Update #2: Seeking Alpha published Omnivision Earnings Call transcript. M.W. Seo ( Shizuoka University) "An 80mVrms Temporal Noise 82 dB Dynamic Range CMOS Image Sensor with a 13-to-19b Variable Resolution Column-Parallel Folding-Integration/Cyclic ADC"
C. Lotto (Heliotis) "A Sub-Electron Readout Noise CMOS Image Sensor with Pixel-Level Open-Loop Voltage Amplification"
Bloomberg, Forbes quote Robert W. Baird's analyst Tristan Gerra writing in a note to clients "Our field research points to Omnivision having lost significant share in PCs as well as in China late last year due to its focus on Apple, while its new 8 MP sensor may not be ready for the initial iPhone 5 launch, suggesting Sony could win all of initial iPhone 5 procurement orders." A more detailed digest of Gerra's note in Wall Street Pit also mentions that Samsung is now sampling sensors to Apple for potential future products. Barron's quotes Hans Mosesmann of Raymond James questioning the logic of Gerra’s report. By Mosesmann’s reckoning, Gerra is suggesting both that Omnivision is capacity constrained in producing the BSI-2, but also that it is loosing market share, which he suggests may be contradictory statements. “We believe OmniVision is constrained becasue demand is stronger than expected. This is ordinarily a good thing, and, in this instance, we believe a good thing.” While Sony may get some Apple business this year, Mosesmann doesn’t think Apple will give all of it to Sony, as they’re a competitor and it’s not proven Sony can deliver parts Apple needs in volume. Motley Fool quotes an analyst at FBR issuing a report earlier this week saying the iPhone 5 launch may be delayed until September (versus expectations of July) and that its image sensor is "most likely going to Omnivision exclusively, but with some potential for [Sony] to split that socket." Albert Theuwissen continues to publish his ISSCC paper reviews, now with help of Dan McGrath. Delft University's SPAD sensor and Fraunhofer Institute's sensor combined with OLED display are discussed. EETimes: Intel has acquired Silicon Hive BV. In a statement Intel said that the acquisition would bring better still-imaging and multimedia video processor technology, compilers and software tools to the Atom processor portfolio. "The Silicon Hive capabilities will aid in the delivery of more differentiated Atom-processor based SoCs as multimedia and imaging grow in importance across the mobile smart device segments," Intel said. Intel Capital was an investor in Silicon Hive (Eindhoven, The Netherlands), a spin off from the Philips Research Laboratories, and Intel has made a deal to license embedded parallel processor architectures, compilers, and programming tools for mobile phone applications in 2008. The amount that Intel has agreed to pay has not yet been disclosed. "Recent data points have circulated in the past weeks suggesting OVTI's BSI yields have been adversely impacted out of TSMC, which could be backed-up on strong demand for general CMOS image sensors into smartphones and tablets. Our view is that the perceived yield issues could be more on the upcoming 1.1-micron BSI front; it is unknown whether TSMC will share the onus should production yields run materially below normal learning curve levels (could spare impact to OVTI's margins), as OVTI plays some 'catch-up' with Sony on 1.1-micron (8 and 16MP module in the market) on process technology." Marketwire: TYZX, the 3D stereo vision company, announced that it has received a Notice of Allowance from the U.S. Patent and Trademark Office for TYZX's claims for the use of real-time stereo in applications such as "recognizing a hand gesture in order to control an application by tracking a location and an orientation of a user's hand." This invention, whose title is "Generation of a Disparity Result with Low Latency," also addresses applications in traffic monitoring and safety. This patent addresses the use of real-time stereo vision cameras to use hand gestures instead of remotes to control consumer devices such as televisions and mobile platforms. Business Wire: Aptina announced that its APS-C format 16MP MT9H004 image sensor has been chosen as a finalist in the 2010 EDN Innovation Award competition. The MT9H004 was recognized for its ability to deliver maximum SNR across all scene lighting and ISO speed conditions. 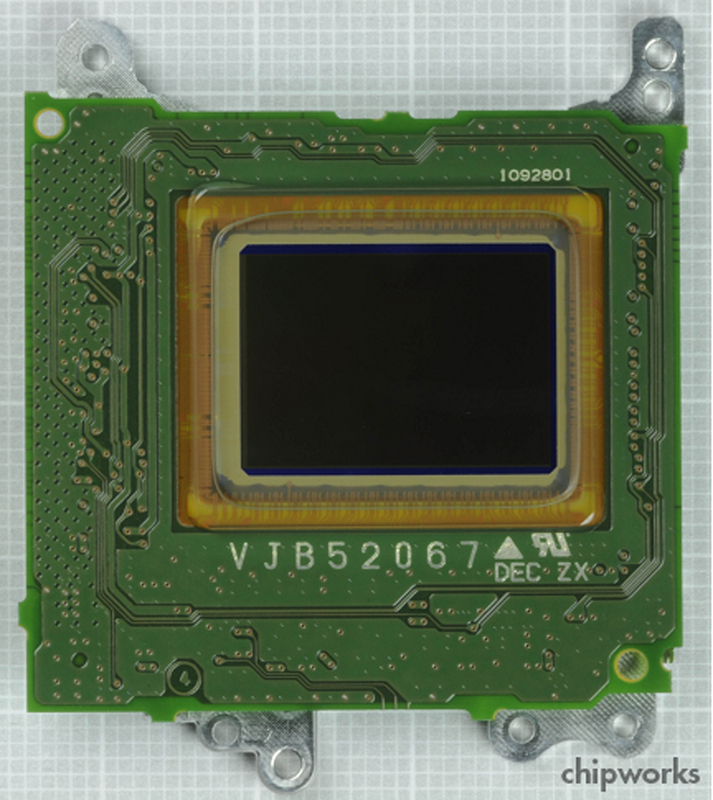 Through the addition of a pixel-level, dual-conversion gain (DCG) switch, the sensor combines two modes of operation in one pixel design – a high conversion gain (HCG) mode with increased sensitivity and low read noise for low-light scenes and a low conversion gain (LCG) mode for large charge handling capacity in bright scenes. A 5dB increase in SNR, almost two full f-stops of range for the camera lens aperture, is achievable under low-light conditions without sacrificing performance in high-light environments, where MT9H004 can achieve a 47dB max SNR. Other MT9H004 features include 16MP still image capture at 10fps, live-view video support, and 1080p/30fps high-definition video recording. Between February 17 and March 31, EDN’s worldwide readers will use an online ballot (http://www.surveymonkey.com/s/886ZQ6R) to select the winners from among these finalists. Winners will be announced at an awards ceremony on May 2 in San Jose, Calif.
EETimes: U.K.-based GPS, Bluetooth and Wi-Fi maker CSR has agreed to acquire Zoran for $679M. CSR CEO Joep van Beurden, said: "Digital electronic devices are becoming increasingly connected and full of media-rich features, including the ability to stream images from your camera to your PC or video conferencing from your Smartphone. Zoran’s market leading imaging and video capabilities, combined with our own connectivity and location capabilities, make this a great opportunity for us." Silicon Image introduced the camerIC-3D/64MP, the camera processor IP core capable of supporting 3D and up to 8Kx8K (64 megapixel) still images and video. camerIC-3D/64MP is optimized for integration into low-power video SoC application processors for mobile devices such as cell phones, tablets, netbooks, DSCs and camcorders as well as video surveillance systems. In addition to its DSC capabilities supporting up to 64MP resolution, the camerIC camera pipeline has the imaging bandwidth to support 3D 1080p resolution at up to 120fps speed or 8MP resolution at 30fps, while consuming as little as 125mW of power and needing only 30MIPS of CPU bandwidth. The camerIC-3D/64MP is said to be one of the industry’s highest performing, lowest cost and lowest power camera processors. Tech-On: Fraunhofer Institute for Applied Optics and Precision Engineering exhibited a "super-slim camera" with 300μm-thick optical system at Nano Tech 2011. The camera has 150 x 100 pixel array and based on the compound eyes of insects. The view angle of the camera is 80° x 65°. A thin glass part is placed between the lens and the image sensor. The total thickness of the lens, glass part, spacer, etc is 300μm. The possible applications for the camera are in various sensors and monitoring devices as well as for medical purposes. Digitimes reports that supplies of notebook components, including CMOS image sensors, are likely to suffer shortages as capacity is occupied by orders from the smartphone and tablet PC sectors, according to the newspaper's sources. Some notebook makers have been looking to source sensors from Samsung and SETi, the sources added. Supplies from OmniVision have been unstable recently due to relatively low yield of its BSI process at TSMC, said the sources, noting that the yield is expected to improve substantially starting May. Acer and HP reportedly noticed the CIS supply problem at internal meetings in January, pushing HP to take supplies from SETi. Thanks to EK for sending me the link! New Imaging Technologies announced NSC0905FO, an HDR sensor coupled to a fiber optic for Image Intensifiers or X-ray Imaging. The NSC0905FO is a 1280x1024 pixel native HDR sensor coupled to a flat fiber optic. The sensor has a pixel size of 10.6um and offers DR of more than 120 dB. The diagonal size of the NSC0905FO allows matching the standard 18mm phosphor I2 tube interface without losing spatial resolution. Other applications include X-ray or gamma-ray imaging through the deposition of fluorescent material layers at the fiber optic surface. The NSC0905FO has a maximum frame rate of 60 Hz full frame and offers on chip 2x2 binning and center zooming. Power consumption of the sensor is less than 150 mW. OptoIQ published an article on Philips silicon photomultiplier advantages. Philips places 1-bit ADC inside each pixel, that digitizes an avalanche PD output. There is also active quenching circuitry integrated into each pixel. Philips' fully integrated 64 pixel sensor with a sensing surface of greater than 10 cm2 and a power consumption less than 15 mW/cm2 uses 180 nm CMOS technology on 8 in. wafers (to me this sounds like Tower is the foundry). The device's photon-detection efficiency is 30% at 450 nm; it has an optical crosstalk of 8% and a dark-count rate of 100 kHz/mm2 at 20°C and 900 Hz/mm2 at -40°C. Digitimes: Pixart expects Q1 2011 revenues to decline 20% sequentially due to inventory adjustments by games console clients, company chairman Huang Sen-huang said. The gross margin will fall below 40% to around 35-36%, according to Huang. Q1 shipments have been hampered by Nintendo lowering its shipment forecast for the Wii from 17.5M units to 16M units. Pixart is projecting a 60% sequential shipment decrease for its games console product lines which will constitute 14% of the company's quarterly revenues, down from 28%, Huang said. For mouse and optical touch controllers, Huang forecast that first-quarter performance will stay flat, but Pixart's overall revenues could still slip 20% sequentially. Optical touch controllers currently represent 5-10% of Pixart's revenues, Huang indicated, noting that in the future, Pixart will focus on the 10-to-30-inch consumer electronics segment. Huang believes optical touch technology has cost advantages in all-in-one (AIO) PC's large-size screens, but actual AIO shipments in 2010 were only 6-8 million units, much lower than the projected 12-14 million units. Moreover, Apple's AIO, which does not incorporate optical touch screen features, grabbed the largest market share, meaning shipments for optical touch AIO models totaled about 2-3 million units. PR Newswire: Israel-based Camtek announced that it received an order for multiple wafer inspection systems from one of the world's largest manufacturers of CMOS image sensors. Camtek's back-end inspection equipment will be used throughout the manufacturing process and will significantly contribute to improving the customer's yield. The order includes multiple Falcon systems for 2D inspection. The systems are expected to be installed during Q1 2011. 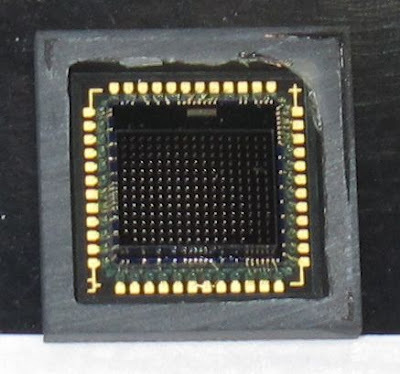 "Our systems provide a Sub-resolution Detection feature and provide coverage of a wide range of CIS process defects, including Color Filter Array (CFA) process control, and thus enable the most reliable detection of critical defects in the image sensor array at a significantly higher throughput. 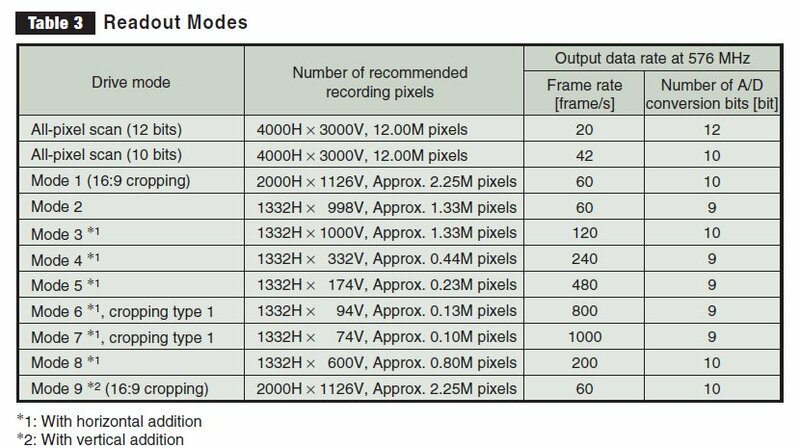 ... As cameras trend to using CMOS Image Sensors with bigger arrays and higher resolutions, more inspection is needed. For example, cameras with 3 megapixels are sample inspected while cameras of 5 megapixels or greater, tend to be 100% inspected. ... We are expecting additional multiple orders from this strategic customer during 2011," commented Roy Porat, Camtek's CEO. PR Newswire: Omnivision introduces 1/3.2-inch 8MP OV8830, the first sensor to use the second generation OmniBSI-2 pixel architecture. The 1.4um pixel OmniBSI-2 architecture offers many improvements over OmniBSI technology including 20% improvement in peak QE in all color channels, 35% improvement in low-light sensitivity and 45% increase in full-well capacity. OmniBSI-2 technology is OmniVision's first pixel architecture built on 300 mm wafers using a copper process with 65 nm design rules, developed in close cooperation with strategic manufacturing partner TSMC. The new process and design rules enable a number of substantial improvements over OmniBSI performance, including improved pixel layout, better isolation, and significantly reduced crosstalk. As compared to OmniBSI, OmniBSI-2 technology also provides the basis for a larger collection region in the photodiode. The results include increased sensitivity, improved image quality and enhanced color reproduction, leading to more responsive overall sensor performance. In full 8MP (3264 x 2448) resolution, the OV8830 operates at 24 fps in a 4:3 format and in 6MP (3264 x 1836) resolution at 30 fps in a 16:9 format. The OV8830 supports 1080p/30fps HD video mode and integrates a scaler and 2x2 binning functionality. The scaler enables electronic image stabilization, while maintaining full field of view in video mode. Talking about China market Jerome says: "We have been quite intrigued by the recent success of Galaxy Core in China: together with wafer foundry SMIC, they have been able to ship more than 100 Million image sensors last year, cutting cost by two on the low-end CIS market thanks to an innovative, simplified BEOL architecture. And it is interesting to compare Galaxy Core's recent success to the growth of China's white-box handset market, which now also claims to be over 100 million unbranded Chinese cell-phones every year..."
PR Newswire: Omnivision introduces the OV3660, the company's first 3MP sensor based on BSI pixel architecture: "We continue to see a strong market shift in the feature phone and entry-level smart phone segments from 2- to 3-megapixel resolutions consistent with increasing consumer demand for quality and functionality," said Charles Chong, product marketing manager for OmniVision. "Implementing OmniBSI technology at the 3-megapixel resolution allows... to facilitate easy migration from existing 2-megapixel camera designs from a manufacturing standpoint." The OV3660's form factor permits direct insertion into an industry-standard 6.5 x 6.5 mm module, enabling a quick and easy upgrade from current 2-megapixel camera designs. The sensor is now sampling and is expected to enter mass production in Q3 2011. PR Newswire: Japan-based Morpho announced the development of HDR technology and rolling shutter distortion correction technology. These technologies operate on mobile handsets including Android devices. 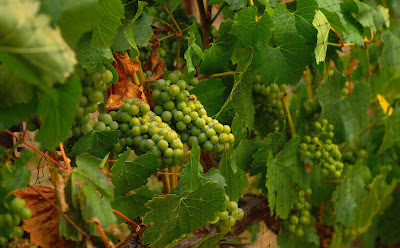 HDR technology compensates for clipped highlights in bright areas and clipped shadows in dark areas of high contrast images. Morpho, Inc.'s HDR technology creates an ideal image by using multiple images with different exposure times. The main feature of this technology is that Morpho's original motion compensation technology "SOFTGYRO" eliminates the need for accessories such as tripods. In addition, ghosts of subjects are not captured due to subject blur compensation. Morpho's video image stabilization technology "MovieSolid" has been expanded to correct rolling shutter distortions in addition to video image stabilization in the horizontal and vertical directions. PR Newswire: Melexis launches the MLX75411 "Avocet" HDR sensor designed for driver assistance and night vision applications. The sensor will also be beneficial for security/surveillance cameras, fleet safety cameras, truck blind spot cameras, transportation/heavy vehicle cameras, and other outdoor and all weather cameras. The Avocet image sensor is 1/3-inch format wide-VGA sensor with a 1024x512 pixels resolution, using 5.6um pixels. It features an extended high dynamic range of up to 154dB in every single frame at a full frame speed of 60fps. The sensor is based on SmalCamera-Cypress-Sensata Autobrite technology. 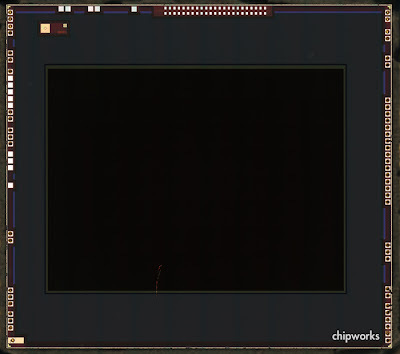 It also has on-chip histogram optimization and sharpness control. Cliff De Locht, product line manager at Melexis says: "In specific daytime automotive conditions like when sunlight shines directly into the lens, or when driving in or out tunnels or garages, the "Avocet" image sensor is able to give a crisp picture with maximum picture details in the very bright areas of the frame and the dark areas of the frame simultaneously." The MLX75411 "Avocet" samples are available in 4 versions: monochrome, color RGBG, color RGBi and RCCC. Business Wire: Intel Capital announced six new investments, QuantumFilm-based image sensor vendor InVisage being one of them. InVisage intends to use this funding round - led by Intel Capital - to bring its products and technology into mass production. Update: Market Wire: Invisage announced that it has received its series C round of venture funding, led by Intel Capital. Intel Capital joins InVisage's existing investors RockPort Capital, InterWest Partners, OnPoint Technologies and Charles River Ventures. "Image sensors for smart phones and handheld devices are a huge market opportunity and InVisage is well positioned to capture significant market share," says Dave Flanagan, managing director, Intel Capital. "InVisage is the first company in a while to think differently about image sensors and we are confident that its products will lead the imaging market on a new vector of innovation." "The image sensor industry as a whole has focused entirely on increasing the number of pixels and has failed to see the big picture. As a result, there has been a lack of new ideas in the market for some time," says Jess Lee, CEO, InVisage Technologies. "InVisage's QuantumFilm technology will bring stunning image quality and advanced new features to an industry that is desperate for true innovation." Initially targeting cameraphone applications, InVisage Technologies' QuantumFilm will be sampling by summer, and could be in devices early next year. ISDI-cmos is the UK-based company grown out of the UK Research Council funded projects on Active Pixel Sensors: "Multidimensional Integrated Intelligent Imaging" and its continuation. The company aims to supply specialised devices and systems for high-value markets particularly in the scientific, medical and security spheres. Accurate recording of selected highlighted region at high speed to prevent saturation and significantly extend the dynamic range. Track a selected object at high speed and of specified size. Explore the potential of optimum imaging where small regions of the image are acquired to a specified quality criterion (e.g., signal-to-noise) by only acquiring sufficient frames to meet the local criterion. Frame rate 40 fps maximum for full 1K x 1K array(slow mode); for region 64 x 64, in fast mode, up to 10,000 fps. If used as a single array camera, then frame rate up to 80 fps. Fully programmable slow/fast regions with resolution down to 4 x 1 pixel blocks. The distinctive advantage of DUOS over other detectors is that the local reset can be performed only for the region of interest making it possible to have two independent cameras on the same pixel array. ISDI-cmos is developing a new family of 7.5 um pixel pitch imagers based on the DUOS concept but with support for multiple regions of interest – including arbitrary shapes. Thanks to NA for sending me the info! CMOS image sensor is and will continue to be a fastgrowing area for us. We currently offer VGA, 1.3 mega pixel, HD, 2 mega pixel and 3 mega pixel products focusing on handset and notebook camera modules. While we are a new comer to the market, our sensors have been highly praised by several customers with leading market positions to have outperformed those offered by the incumbent players in terms of image quality. Consequently we have won numerous design-wins from customers ranging from camera module makers, contract manufacturers to system integrators with world leading brand names. While our current shipments are handicapped by the serious wafer foundry capacity shortage from which the industry is suffering, we remain confident that we will deliver phenomenal volume growth and strong market expansion this year. To what extent our sensor products will grow this year will depend largely on the availability of foundry capacity." "Sony is again first to market – this time with a next generation 1.1 µm class pixel. 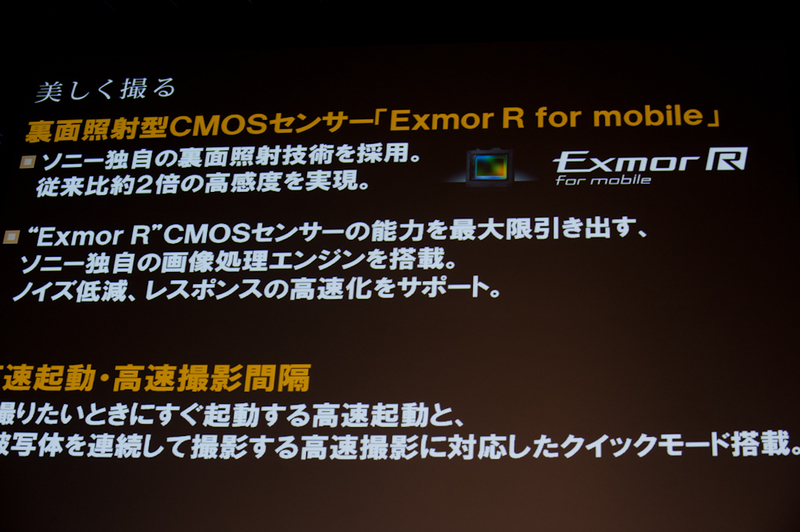 Sony announced the IMX081PQ Exmor-R CMOS image sensor and IU081F camera module in October 2010. Featuring 1.12 µm pixels, the camera modules are claimed to be the smallest and thinnest modules of this resolution for mobile phones. 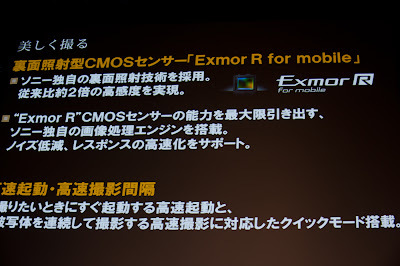 These devices mark Sony’s first deployment of Exmor-R (back illuminated) sensors in mobile applications, and are part of Sony’s strategy to aggressively pursue design wins in high-end mobile phones. 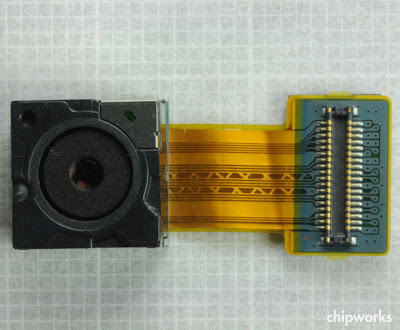 The 10.5 mm x 10.5 mm x 7.9 mm module features a chip-on-board (COB) mounted image sensor, an autofocus mechanism, and a printed wiring board (PWB) with embedded components – something which Sony has been a bit of a laggard on until now. The IMX081PQ uses Bayer patterned color filters and microlenses on a 1.1 µm pitch." Korea IT Times, Korea Newswire: Samsung unveils its new 1/3.2-inch 8MP CMOS imager, S5K3H2, based on 1.4um BSI pixels. The new imager supports up to 15fps at full resolution and 1080p HD video up to 30fps. It also offers video recording of 720p at 60fps and VGA resolution images at 120fps for slow motion playback function all on a mobile phone. The S5K3H2 is said to be able to operate on 1.2 voltage levels - I would cross-check if this is the only supply, once the official Samsung info becomes available. The sensor fits in 8.5mm x 8.5mm auto focus camera module with a height dimension of 6.0mm. The S5K3H2 is sampling now and is scheduled for mass production in Q2 this year. Impress: This one seems to be announced in Japan only, but Sony Ericsson presented KDDI-aimed S006 phone featuring what's said to be the world's highest resolution BSI sensor today - 16MP Sony-made imager. Not much is known about this sensor, but the phone supports 12fps burst mode at full resolution. Unfortunately, Japan-based image sensor blog seems to stop updating recently, otherwise we could learn more about the new Sony sensor from it. Korea IT Times, Korea Newswire: Samsung announced 1.12um BSI pixel-based 12MP imager. The new 1/3.2-inch S5K3L1 speed is 30fps at full resolution, 60fps in 1080p HD video mode, 90fps at 720p or 120fps at VGA resolution for slow motion playback function in mobile phones. The new sensor also includes an on-chip pixel correction feature, compensating color and luminance response variations "to address image distortion". In addition, the 12MP imager offers an optional RGB-white color filter array claimed to deliver 30% brighter image over that of a conventional RGB color filter array. 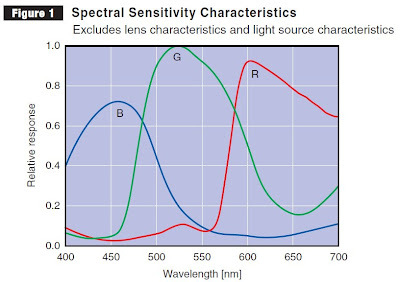 The RGB-white filter feature works in conjunction with a complimentary logic chip (S5C73L1), which converts RGB-White pattern to RGB Bayer for back-end Bayer ISP compatibility. The logic chip also provides features such as lens shading correction, image down scaling, noise reduction and significantly enhanced modulation transfer function to reproduce fine details. Samsung's S5K3L1 imager is designed to fit into 8.5mm x 8.5mm auto focus camera module with a z-dimension of 6.0mm for slim mobile phones and small form factor applications. Samples of the S5K3L1 imager are available now with mass production scheduled in Q3 of this year. The S5K3L1 will be displayed at the Mobile World Congress, Barcelona, Spain. Pelican Imaging announced that it has developed the first prototype array camera for mobile devices. Pelican Imaging has developed a computational camera array architecture and IP with 12 pending patent applications in array optics, sensors and image reconstruction algorithms. Pelican’s camera improves upon image and video quality while allowing for thinner smartphones. New applications are also enabled by introducing features such as 3-D depth, gesture control, and the ability for users to interact with the image before and after capturing the shot. The company also announced its Technical Advisory Board members: Dr. Marc Levoy, Dr. Shree K. Nayar and Dr. Bedabrata Pain. “What Pelican has developed represents a paradigm shift in imaging and video that has the potential to overcome many of the inherent limitations of mobile cameras,” said Dr. Shree Nayar, professor at Columbia University. “Pelican's architecture relaxes key pixel design constraints, thereby enhancing pixel performance beyond those in legacy cameras. I am equally excited about its potential for early and cost-effective adoption of new sensor technologies. The next generation of mini- and micro-cameras is upon us,” said Dr. Bedabrata Pain, CEO of Edict Inc.
Also, there is a nice article about Pelican's approach at Gigaom. Thanks to OG for sending me the info! PR Newswire: Now Imatest's IS Edition interfaces directly with Graphin's "GPirates" (an evaluation suite for image sensor products), enabling engineers to quickly configure image sensors, using GPirates, and then immediately assess image quality with the IS Edition software. By combining Graphin's GPirates capabilities with Imatest's IS Edition, images can now be directly read from the sensor and analyzed, instantly providing product engineers with the information they need to optimize sensor settings, including: sharpness, noise, blemish detection, dynamic range, color accuracy, distortion, uniformity, lateral chromatic aberration, and ISO sensitivity. February 8th, 2011, Paris – As Mobile World Congress 2011 is about to open in Barcelona, DxO Labs announces that to date, more than 40 million camera modules featuring its unique Extended Depth of Field (EDoF) technology have been shipped. DxO Labs' EDoF technology, also known as DxO DOP (Digital Optics Processing), has been licensed to several leading sensor vendors and has been successfully implemented on 3-, 5-, and 8-megapixel sensor chips for a large range of best-selling mobile phones. DxO Labs' EDoF unique technology allows fixed-focus lenses to become a viable alternative to traditional autofocus: it delivers sharp images from as close as 10 cm (depending on sensor size and resolution) out to infinity, with instant focus and zero shutter lag, and allows drastic shrinking of camera module size and cost. Further, it enables value-added imaging features such as barcode decoding and OCR. "40 million cameraphones shipped with DxO DOP represents a very important milestone," says Jerome Meniere, CEO of DxO Labs. "It means that DxO Labs' EDoF technology is now widely adopted in the market. 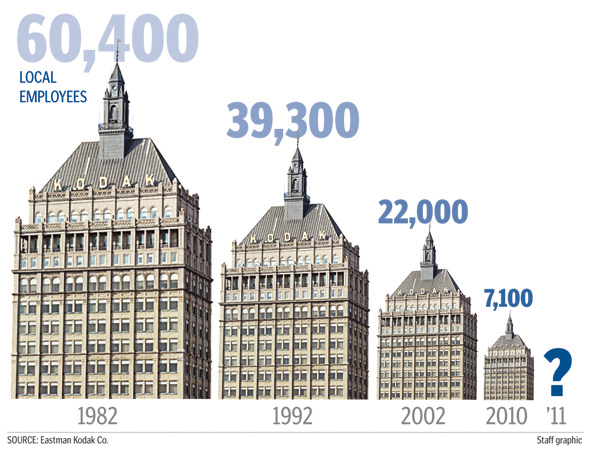 We expect to reach the 100 million units threshold in 2011." DxO DOP7+, the latest generation of DxO Labs' EDoF technology, dramatically improves image quality and pushes the frontiers of EDoF performance still further to meet increasingly challenging smartphone requirements in term of cost, image quality, and size. DxO DOP7+ will be showcased at Mobile World Congress 2011. DxO DOP technology is based on the co-design of optics and image signal processing. DxO DOP uses standard, fixed-focus lenses which are "powered" by an image-processing silicon IP block to achieve new imaging properties. Extended Depth of Field (EDoF): DxO DOP7+ uses standard fixed-focus lenses to deliver sharp images from as close as 10 cm (depending on sensor size and resolution) out to infinity. This allows close-up reading of 1D and 2D bar codes, and easy document or business card scanning. Instant focus and zero shutter lag: compared to traditional autofocus, DOP7+ has zero shutter lag, and delivers images that are always sharp, with no latency nor focusing errors, leading to a much better user experience. Much lower cost and size than traditional autofocus: DxO DOP7+ removes the need for costly, bulky, and fragile actuator-based autofocus systems, leading to a much lower bill of material and very thin, compact cameraphones. Update: The PR was published in Embedded Imaging section of DxO web site. Thanks to SL for letting me know! Albert Theuwissen published a new post in PTC series, this time talking large signal effects, saturation, etc. 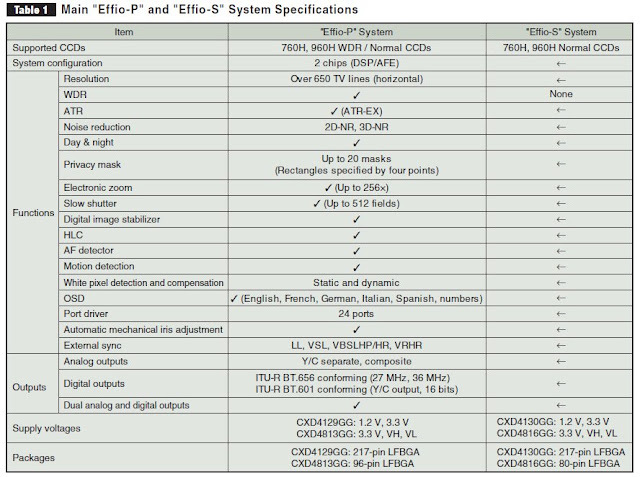 DPReview, CNET and some other sites claim that the newly announced Canon ELPH 500 HS (IXUS 310 HS in Europe) camera has BSI sensor. The 1/2.3-inch sensor's resolution and speed is 12.1MP/3.4fps and it is capable of 1080p24 video. However, the official Canon PRs do not mention the backside illumination at all. They only talk about "HS System" that excels in low light: Canon US PR and Canon UK PR. It would be strange if Canon really hides BSI feature under HS title. Thanks to JB for pointer to the Canon announcements! Aptina expects its AR0833, 1/3.2" 1.4-micron 8MP BSI image sensor will be its first BSI product to sample starting in mid-2011. In the second half of 2011, Aptina expects to sample 1.1-micron BSI products including a 12MP 1/3.2” 1.1-micron image sensor, and an 8MP 1/4” 1.1-micron image sensor. Aptina is currently working with its fabrication partner Micron Technology to support BSI production capacity by CYQ3 2011 in anticipation of ramping products to be manufactured for mobile, digital still and digital video camera applications. Demand for BSI CMOS image sensors is expected to grow from 10% of cell phone main cameras in 2011 to 20% in 2013, according to TSR. Peter.vdHamer.com blog published the notes on PTC noise tutorial by Albert Theuwissen. The notes present the main content of the tutorial in a very concise form. PerkinElmer Illumination and Detection Solutions Business is Now Excelitas Technologies Corp. I missed this news from two months ago: On Nov 29, 2010 the former Illumination and Detection Solutions (IDS) business of PerkinElmer was formally re-launched as Excelitas Technologies Corp.
Now owned by private equity firm Veritas Capital, Excelitas Technologies has 3,000 employees, manufacturing operations in the U.S., Canada, Europe and Asia and projected 2010 revenues of over $300 million. The new company continues production of Reticon CCD line and other specialty imagers. Thanks to DG for letting me know! Kodak to Sell CMOS Sensor Business? Rochester Democrat and Chronicle quotes Kodak CEO Antonio Perez telling Wall Street analysts on Feb. 3, 2011 meeting that this year Kodak will likely sell its CMOS image sensor business, which is based in Rochester. I thought this business was shut down two years ago. Kodak's image sensor solutions website lists CMOS sensors as discontinued products. So, what Kodak is selling now? Patents? The newspaper says that the company expects to make $300 million to $400 million selling some assets, such as the CMOS image sensor business. Perez said Kodak had been shopping it around for more than a year, but didn't want to sell in a down economy when it would command less. The improving economy makes selling both CMOS and some real estate assets potentially more lucrative, he said. The company is led by Philippe Rommeveaux, a former e2v Imaging Business Unit director (80 people, revenue 50M€). Pyxalis offers custom design services and has expertize in HDR sensors, smart sensors, pixels with global shutter, high-speed imaging with ADC resolution up to 14-bit, low-light and large sensors (up to 1 die per wafer). January 31, 2011 - DxO Labs today announces that it has entered into a licensing agreement with Aptina Imaging Corporation to integrate its DxO Digital Pixel Processing (DxO DPP) technology into high-end CMOS imaging products for Aptina. "We are very excited to team up with CMOS image sensor leader Aptina," said Jérôme Ménière, CEO of DxO Labs. "Our DxO DPP technology research scientists have developed a ground-breaking solution that can significantly improve the image quality of miniaturized cameras while reducing manufacturing costs." "We are very pleased to partner with DxO Labs, a very innovative and leading imaging company," said Farshid Sabet, Vice President and General Manager of Aptina's Mobile, PC and Gaming Business Unit. "This technology will provide our customers two key benefits: first, DxO's DPP technology clearly provides improved overall image quality, and secondly, the technology reduces system complexity, increases overall product quality, and enables rapid integration." Color shading and green imbalance are system-level issues that occur when the camera is miniaturized by using 1.75µ pixels and smaller. The color light rays are much more spread out as they pass through the lens and infrared filter and then onto to sensor. The problem is made more complex due to a high variability of conditions, including numerous different kinds and intensities of light sources, the colors in the scene, and the unit dependency. All these root causes and variations make this a very complex problem to solve. Current correction methods are based on costly calibrations on the production line for a limited number of predetermined situations. They introduce failures in most indoor real-life situations, even with high-end smart phones using backside illumination (BSI) sensors. 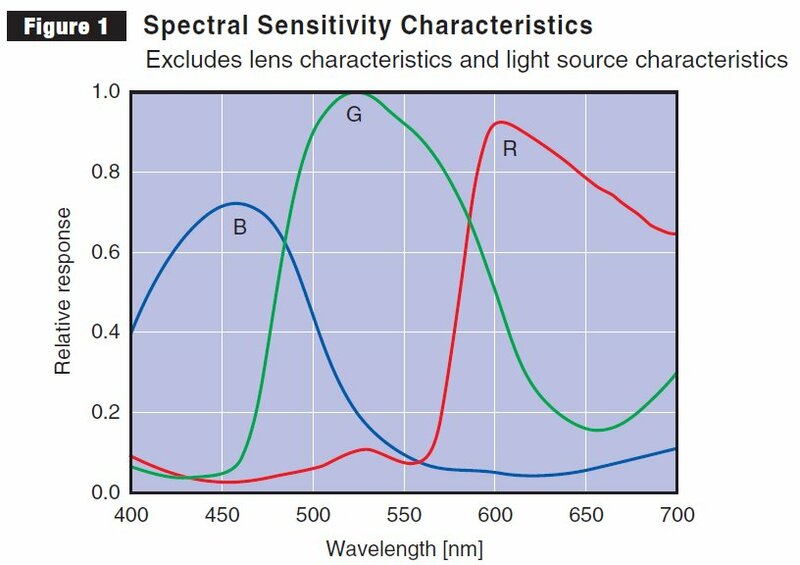 DxO Labs engineers have succeeded in developing an advanced technology that provides the color uniformity that end-users expect, regardless of the sensor size, the light source, the scene, and the unit. DxO DPP estimates color lens shading and green imbalance maps on the fly from the stream of images before correcting RAW data for color non-uniformity and high-frequency structured noise. Shorten time-to-market through simplified integration and tuning. A hardware version delivered as a soft RTL IP that can be integrated either in a CMOS sensor die or in a processor chip. A software version delivered as a library running on any ARM core or embedded processor. Update: Quality Magazine and I-Micronews published the PR. Update #2: The official PR is published at PRLog site. GigaOm, NY Times: "Kinect is the fastest-selling consumer electronics device in history... Kinect exceeded all expectations with 8 million stand-alone and bundled sensors sold in just 60 days," said Peter Klein, Microsoft CFO in the quarterly results conference call (SeekingAlpha). Citibank Research estimates that Microsoft will ship about 19.2 million Kinect controllers over next 18 months. JDSU supplies two components for Kinect: a laser diode, apparently with maximum power of 500mW and an IR pass filter for the sensor. The two component's price is about $4 per Kinect controller, according to estimates from Mark Sue, analyst with RBC Capital Markets. OptoIQ published a popular comparison of 3D vision approaches for gesture recognition. Not much new there, other than various people sayings about the gesture recognition market. 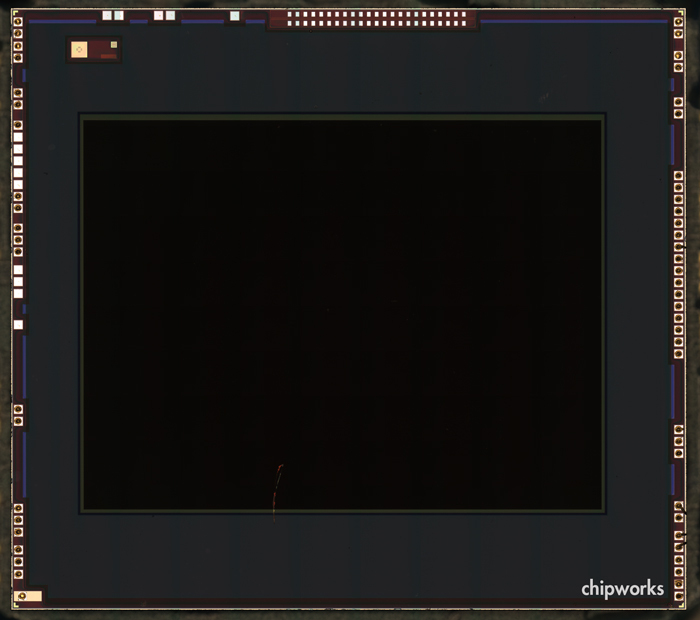 Chipworks reverse engineering revealed that 16.0MP Micro Four Thirds Panasonic Lumix GH2 DSLR manufactured uses MN34070 sensor, also manufactured by Panasonic. The sensor has 3.8um pixels and is able to deliver 1080p/24fps or 1080i/60fps video. Nanowerk: CMOS devices are normally covered with a silicon nitride coating to protect from moisture and other impurities. The silicon nitride coating limits the range of optical applications because it is impermeable to UV light. Scientists at the Fraunhofer Institute for Microelectronic Circuits and Systems IMS in Duisburg have found a solution to this problem: "We've developed a new process step," says Werner Brockherde, head of department at Fraunhofer IMS, "that allows us to produce a protective coating with the same properties but which is permeable to blue and UV light." The trick is to increase the proportion of nitrogen in the coating by fine-tuning the deposition parameters such as pressure and temperature. "This reduces the absorption of shortwave light," explains Brockherde. "This makes CMOS image sensors suitable for use in wavelength ranges down to 200 nanometers," states Brockherde. "With standard passivation the limit was about 450 nanometers." 2011 International Image Sensor Workshop (IISW) pre-registration is now open. Thanks to EF for sending me the alert. Update Feb 4, 2011: As EF wrote in comments, the pre-registration is now full. All the additional requests will be placed on a waiting list.